After nine seasons on the air, E!’s Keeping Up With The Kardashians is still going strong. Season 10 is expected to premiere next month, and this week the Ryan Seacrest-produced show has been renewed for a whopping four more seasons. This means Kim, Kourtney and Khloe aren’t going anywhere. However, Keeping Up With The Kardashians will be losing a cast member moving forward. 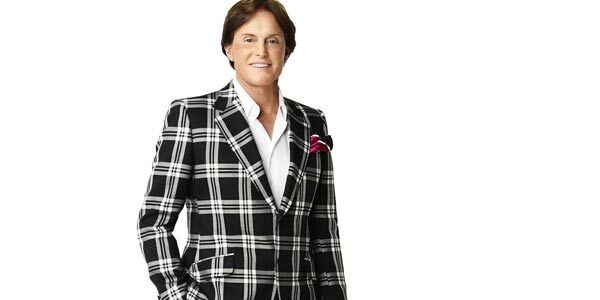 Bruce Jenner will bow out of the series after the upcoming Season 10 airs. The cable network doesn’t have a ton of popular original programming, although E! has expanded into scripted programming recently with new drama The Royals hitting the schedule on March 15. While E! is looking to expand its current programming lineup, Keeping Up With The Kardashians is still a big ratings-bringer, although the numbers are down a bit from what the show was doing just a few seasons ago. Despite this, Page Six reports that the Kardashian/Jenner family nabbed a cool $100 million for the latest renewal. In terms of why Bruce is living, the story boils down to this: In 2013, Bruce and Kris Jenner separated but Bruce Jenner continued to appear on Keeping Up With The Kardashians. Kris and Bruce continued to have marriage problems, leading Kris to request a divorce in September of 2014. Also in 2014, it began to be clear that Bruce Jenner was going through a transition, undergoing surgery to remove his Adam’s apple and growing out his hair. Following the Bruce and Kris Jenner divorce and the announcement that Bruce Jenner will go through some transitions in the coming year, E! revealed that Bruce Jenner is not a part of the new Keeping with the Kardashians contract. Instead, Bruce Jenner has signed on for his own reality docuseries that will follow the former Olympian’s change. Currently, details are underwraps about exactly what that docuseries will entail, but it will give audiences the opportunity to see Bruce be the highlight of his own show, rather than a character who only pops up onscreen for a few moments each episode. One thing’s for certain: the man won’t have time to keep up with any Kardashians. With or without Bruce Jenner, E! is certainly hoping to keep the Kardashians on the air for some time to come. The deal is more lucrative than just Keeping Up With The Kardashians, though. Page Six also notes Kim is looking to produce some shows for the network, and if you watched E!’s Oscars pre-show this year, you may have noticed Khloe saying some feisty things about fashion on the red carpet. Keeping Up With The Kardashians Season 10 premieres on Sunday, March 15. You can look into more spring premieres with our 2015 midseason schedule.